Here’s hoping most of you are out enjoying a wonderful 4th of July with family and friends! 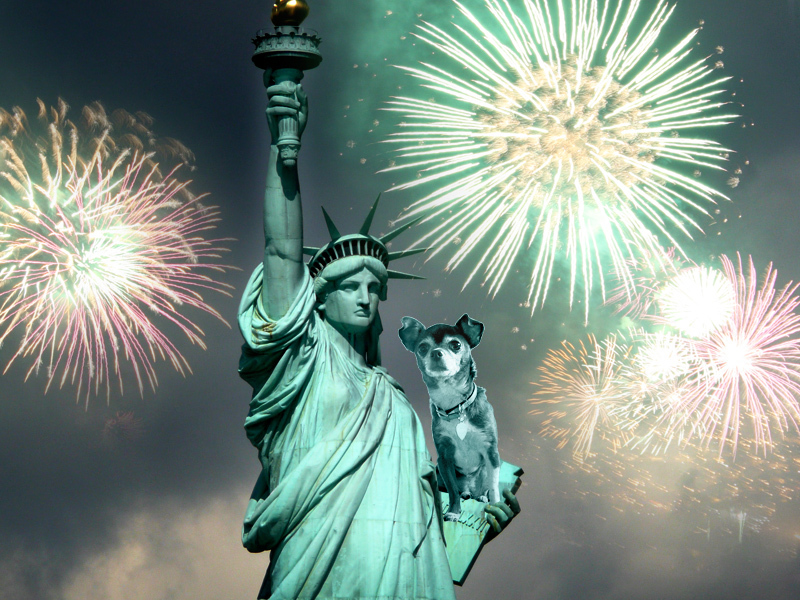 And may your skies be clear and brilliant with marvelous fireworks, so thrillin’! Happy Cuatro (fourth) of July! 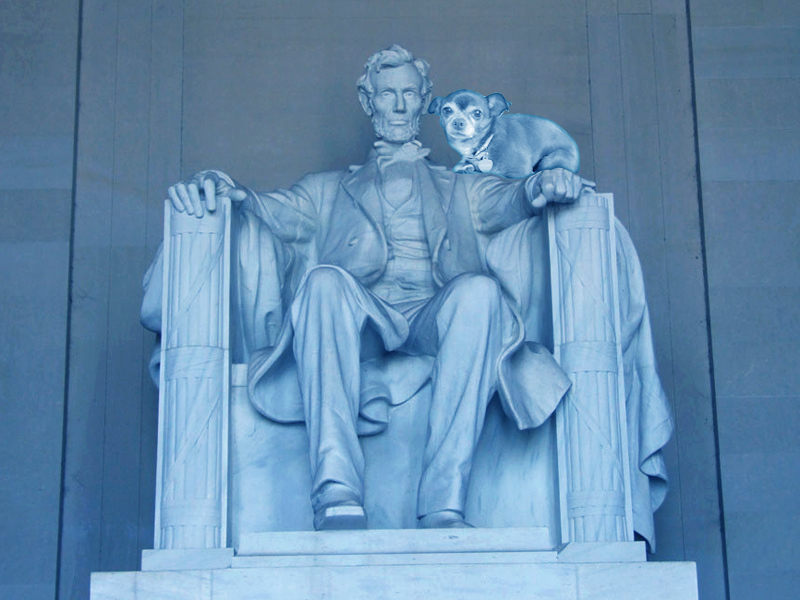 But on this ultimate American holiday weekend, as we remember the some of the great leaders that helped make ours the best nation in the world, let us not forget the little guys that lent a helping paw in the effort. Let us remember that many of our founding fathers and illustrious presidents had great companions that served them faithfully as confidants and advisors. And no, I’m not talking about their first ladies!! 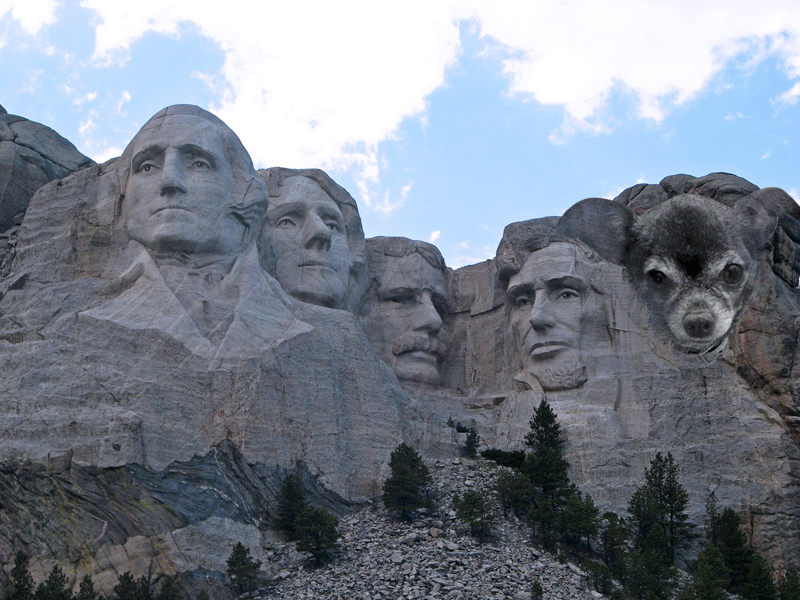 So during this celebration of our great country’s birth, I propose we do a little “updating” of some of America’s monuments to reflect our appreciation of these quiet, lesser-known servants of liberty. No disrespect intended, but I’ve taken the initiative (liberty) of putting together some sketches below. Keep in mind these suggestions are merely meant to be symbolic of all great dogs. After all, I cannot take credit for all that makes our fabulous country rock! But I do believe a Chihuahua would be an excellent emblem of fierce loyalty and bravery. Happy Cuatro of July, Amigos! Let us appreciate how fortunate we are as we celebrate this great nation and the freedoms it stands for. Let’s live it up … now pass the ketchup!! P.S. And Happy Saturday Pet Blog Hopping! 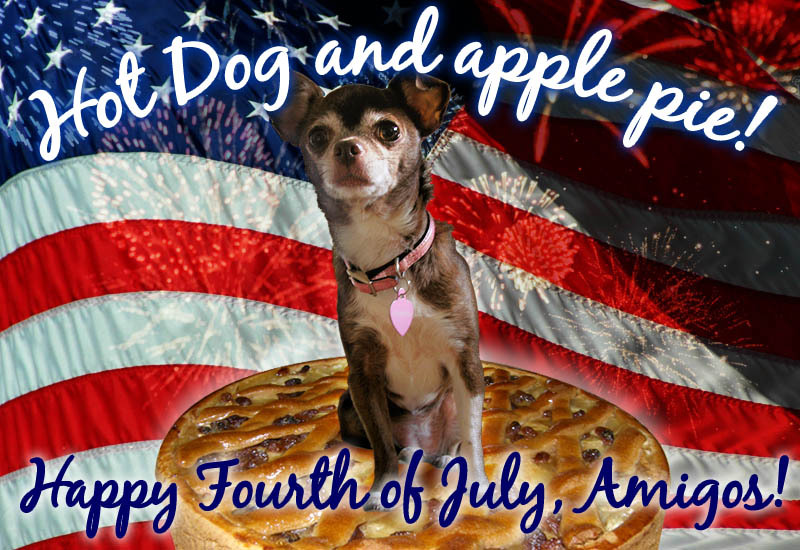 You are currently browsing entries tagged with Independence Day at Chihuahua Wisdom Blog.